⋅ McDaniel also has a European campus in Budapest, Hungary, where McDaniel students can apply their financial aid and scholarships to study abroad. ⋅ Over 90% of students receive financial aid (need-based and/or academic scholarships) with an average award of $39,322. Nationally recognized independent college of the liberal arts and sciences, founded in 1867 as Western Maryland College. Founded in 1867 as the first coeducational college south of the Mason-Dixon line and one of the first in the nation. The College’s motto, E Tenebris in Lucem Voco, or “I call you out of darkness into light,” inspired a tradition with all first-year students processing through Ward Memorial Arch to be symbolically welcomed into the McDaniel community. McDaniel’s unique tailgating tradition and drive-in stadium have been highlighted nationally as a best college tailgate. 160-acre campus sits atop a hill overlooking downtown Westminster, Md., Carroll County’s largest town and county seat. McDaniel offers access to the resources of Baltimore and Washington, D.C. Academics center on the McDaniel Plan, a personalized, interdisciplinary curriculum that emphasizes experiential learning and student-faculty collaboration to develop the unique potential in every student. Many students choose more than one major and minor or even self-design their own. All students take a first-year seminar that focuses on a unique topic, from “College Life and Cinema” to “Tinkering with Discovery.” These courses are designed as both a transition to college and an introduction to the liberal arts. Each year, more than 300 students collaborate with their professors on research across all disciplines. Many of these students are published authors by the time they graduate. The Center for Experience & Opportunity (CEO) is McDaniel’s one-stop shop that focuses on experiential learning and connects students with internships, fellowships, jobs, study-abroad programs and alumni mentors. Over one-third of students study abroad for academic credit in more than 50 countries, including at McDaniel’s European campus in Budapest, Hungary. 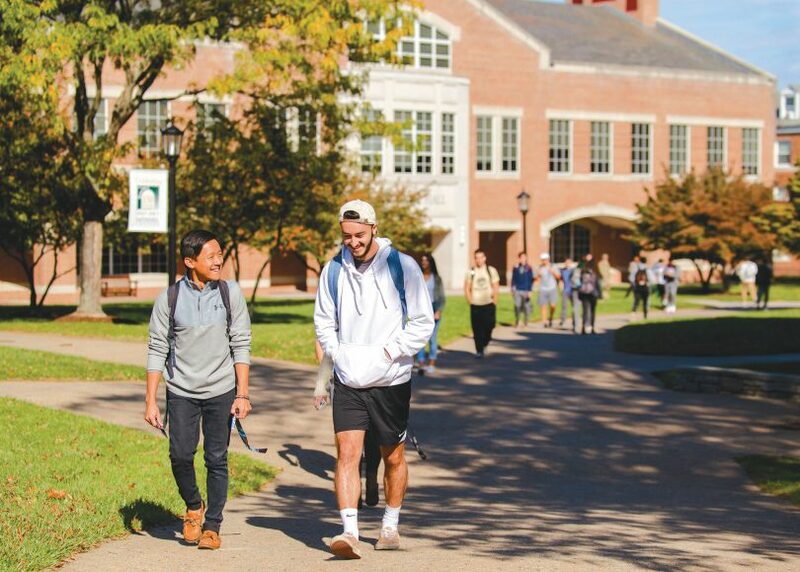 Learning doesn’t end in the classroom; The McDaniel Commitment guarantees every student two experiential learning opportunities, including service learning, study abroad, credit-based internship or independent study. Army ROTC has been a tradition at McDaniel since 1919, and the Green Terror Battalion is one of the oldest programs in the nation. McDaniel also participates in the Post-9/11 GI Bill and Yellow Ribbon Program. 96% of full-time faculty hold the most advanced degree in their field. All courses, studios, and laboratories are taught by faculty members, not teaching assistants. More than 70 undergraduate programs of study, including dual and student-designed majors. Also offered are pre-professional programs including teaching certification, pre-law, pre-dental, pre-medical, pre-health professions and pre-veterinary. A free January Term course for first-year students guides them in identifying their strengths, interests and goals, and exploring relevant majors and careers, while developing a customized action plan. Special opportunities abound through McDaniel’s Center for Experience and Opportunity, The Encompass Distinction program in innovation and entrepreneurship, the Honors Program, and Global Initiatives including the Global Fellows program. 85% of undergraduate students live on campus. Special housing options include campus apartments, language houses, and college-owned residences assigned to groups of students with shared interests. 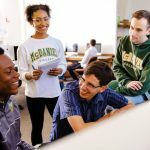 McDaniel Local, a pre-orientation experience that immerses first-year students in the McDaniel community and their local surroundings, connects students with their peers and new mentors, and sets the foundation for making the most of life on the Hill. Represented by the Green Terror, McDaniel’s 24 athletic teams compete in the NCAA Division III, Centennial Conference athletics. More than 20 national and international honor societies, including Phi Beta Kappa, recognize leadership, service, and academic achievement. More than 90 student organizations and intramural sports, plus fraternities and sororities. Nine-hole golf course doubles as an 18-hole Foot Golf course and is a popular snowboarding and sledding spot in the winter months. McDaniel’s more than 28,000 alumni reside in all 50 states, the District of Columbia, and 75 countries. Graduates report that they are well prepared to succeed in their chosen careers with such employers as NBCUniversal, NASA Goddard Space Flight Center and T. Rowe Price, as well as in their first-choice graduate programs for advanced degrees in law, medicine, physics and numerous other fields. Over the past five years, nine McDaniel students have been awarded Fulbright scholarships for international studies. Seven students received Gilman International Scholarships from the State Department’s Bureau of Educational and Cultural Affairs since 2012. A large percentage of incoming students earn merit scholarships based on scholastic and personal achievement, ranging from $13,000 to $25,000 per year. More than 20% of the Class of 2022 were awarded Educator’s Legacy Scholarships receiving $100,000 over four years as children of K-12 or community college educators. Any service qualifies, including teachers, counselors, support staff or administrators.